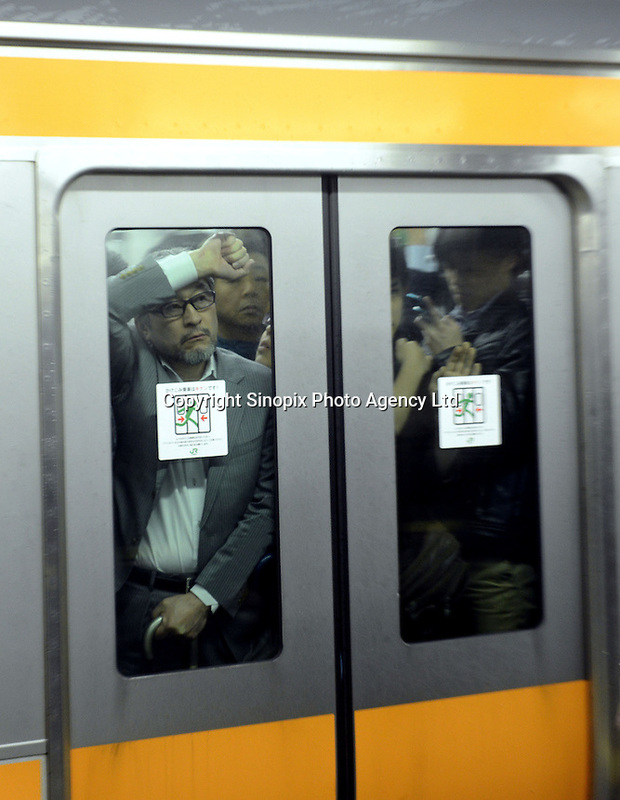 Businessmen looks through the window of a packed train in Shinjuku Station, Tokyo, Japan duringrush-hour. With up to 4 million passengers passing through it every day, Shinjuku station, Tokyo, Japan, is the busiest train station in the world. The station was used by an average of 3.64 million people per day. That’s 1.3 billion a year. Or a fifth of humanity. Shinjuku has 36 platforms, and connects 12 different subway and railway lines. Morning rush hour is pandemonium with all trains 200% full.